I bought three packets of plain sponge cakes, they were about 30 x 20cm each. 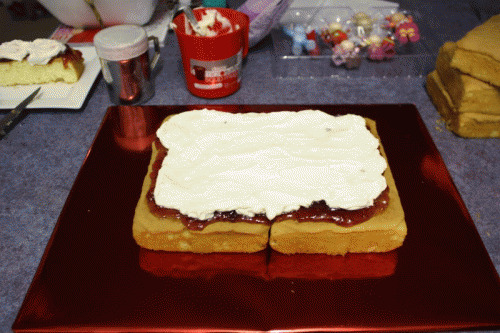 Here you see two side by side with a layer of jam and cream. 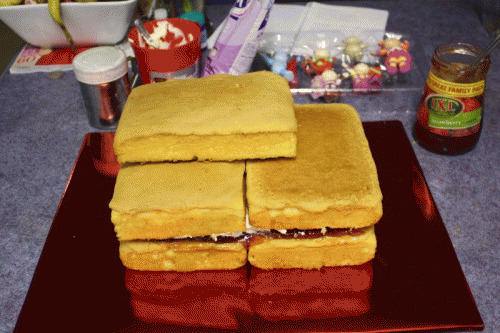 Here you see the jam and cream filled sponge base and the second layer using just jam. 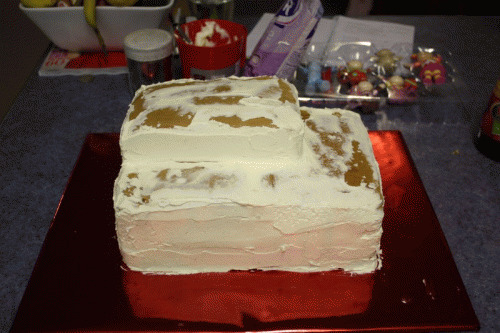 I then used plain butter icing for the first layer. 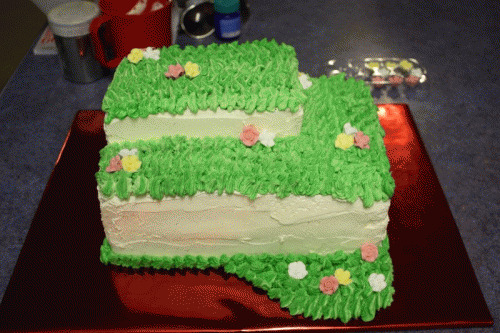 I concentrated on the sides as the top would be covered with green grass icing. I made two batches of green icing, one a light green colour and the other dark. I then spooned a scoop of each into the icing bag so that one side of the piping bag was dark and the other light. This created a mottled grassy effect. The flowers are premade edible sugar flowers. This is the completed cake, the plastic figurines are from the toy department and are about 10cm high. After the birthday they became a regular toys. 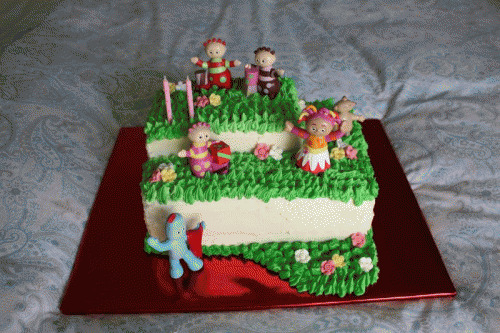 Love this, going to try to replicate for my daughters first birthday. Can you advise the recipe for the icing? Hi Sarah, good luck. It is just a simple butter icing recipe. About 100g of softened butter and add icing sugar till it is a good consistency and the buttery taste is gone. Then a tiny bit of lemon essence and food colouring.